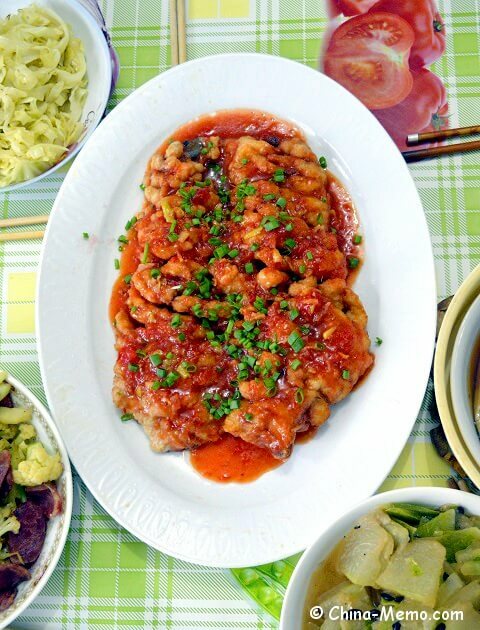 This Chinese pine nut fish is one of my mother’s signature dishes, similar like her Sichuan "Tiger Skin" Kou Rou (pork belly), she only makes such dish for our guests or during the festival time :). Scroll down for video. 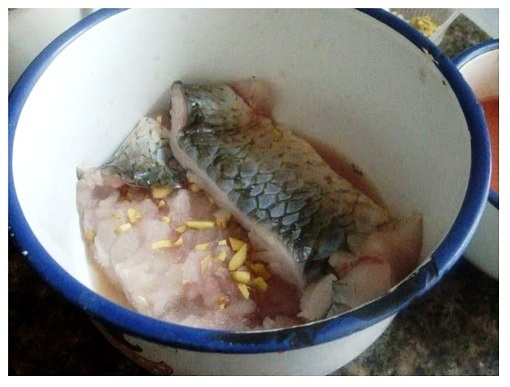 The reason why it is called pine nut fish is because the way the fish is cut. After frying, the fish surface looks like pine nuts. So, mainly this dish is all about the skill to cut the fish. The recipe also comes with my mum’s homemade tomato sauce. She first uses the food processor to smash the tomato and then adds salt and sugar to make her own tomato sauce. Easy, right? But the way we serve this homemade tomato sauce is not like using ketchup for chips, check the recipe steps you will see what I meant. 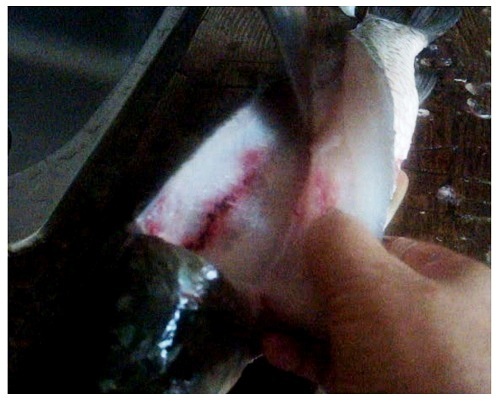 Prepare the carp, cut the carp into half, and remove the flesh from the bone. 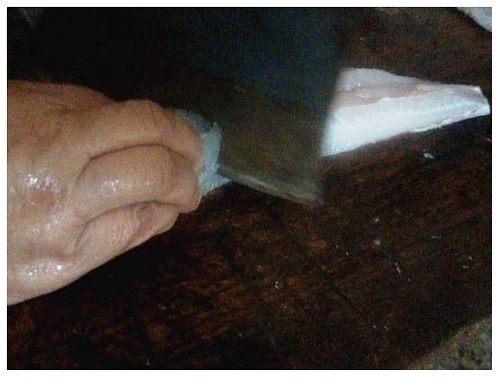 Cut the fish surface diagonally. Be careful only cut the surface in half depth so the meat remains connected. 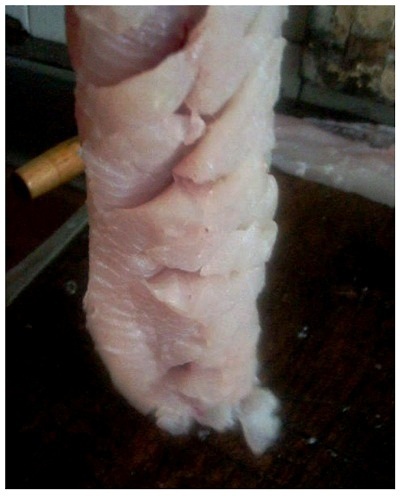 This is how the fish fillet looks like after cut. Marinate the fish fillet with salt, soy sauce and chopped gingers for about 10 mins. Meanwhile, to make tomato sauce, use food processor to smash the tomatoes. Set aside. Coated the fish with flour and get ready to fry. Heat up the wok and oil. 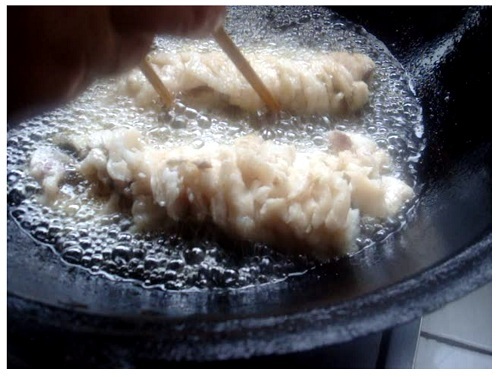 Once the oil is hot, pour the oil onto the fish, until the surface starts to be firm. The reason to do so is to make sure that the all cut parts on the surface can be separated. Otherwise, they might just stick together and will not look like pine nuts after frying. 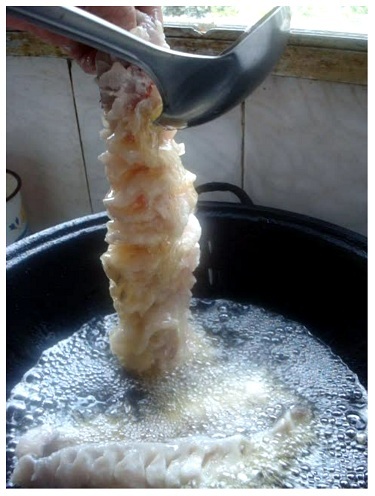 Once the surface is fried, leave the whole fish in the oil and fry till well cooked. 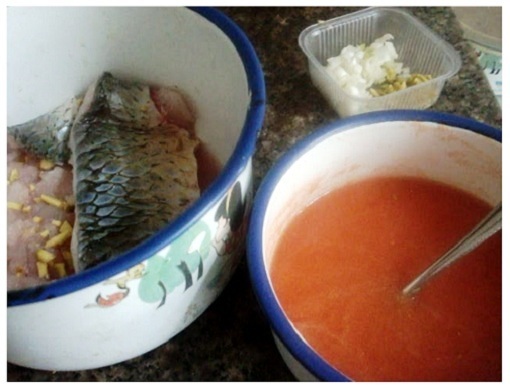 After the fish is fried, start to make tomato sauce. 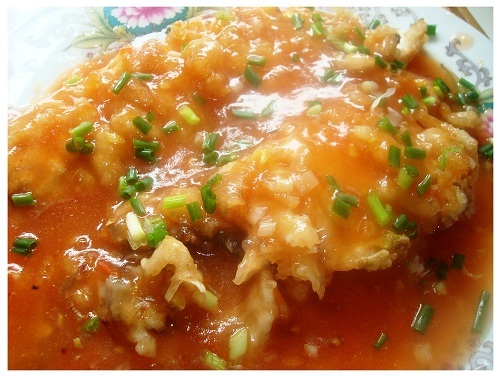 Because this Chinese pine nut fish needs to serve in hot, so we make the hot tomato sauce. 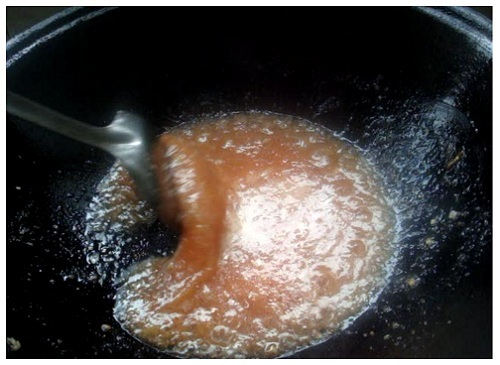 Fry the chopped ginger and garlic, then add the tomato to mix well, seasoned by salt and sugar. 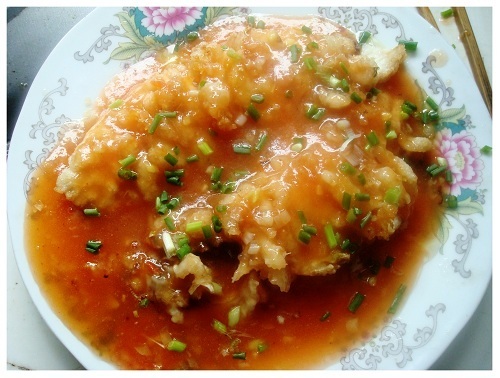 Pour the hot tomato sauce on the top of fish fillet and serve immediately. You can watch the cooking video here. 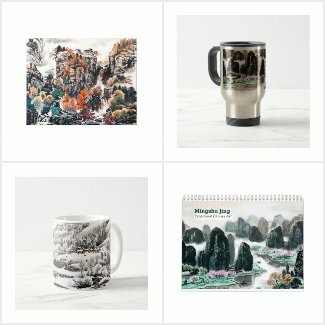 To get the regulaer update for more Chinese home cooking videos, please subscribe my Youtube channel. 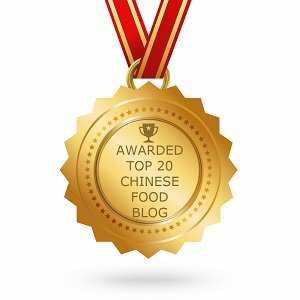 I hope you like this Chinese pine nut fish recipe, if so, please Like it and share it on Facebook. 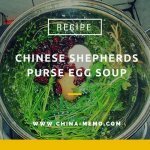 You may also like another popular Chinese fish recipe Red Cooked Carp, Chinese micorwave oven fish, and more Chinese meat recipes.